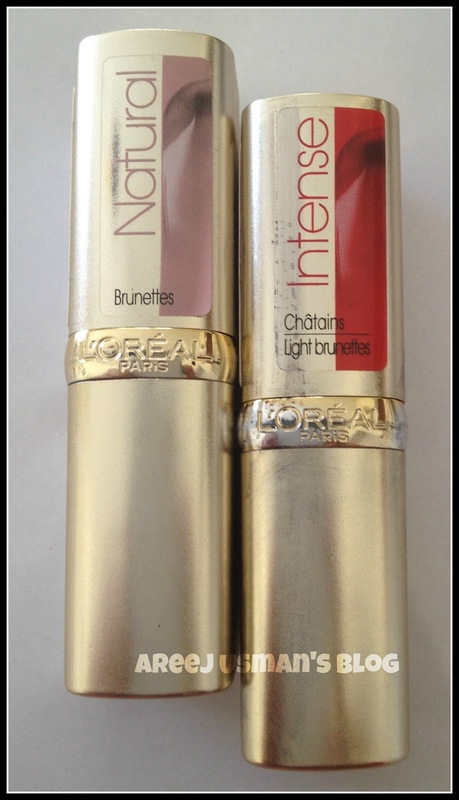 Some days back I posted a Press Release about L’oreal. 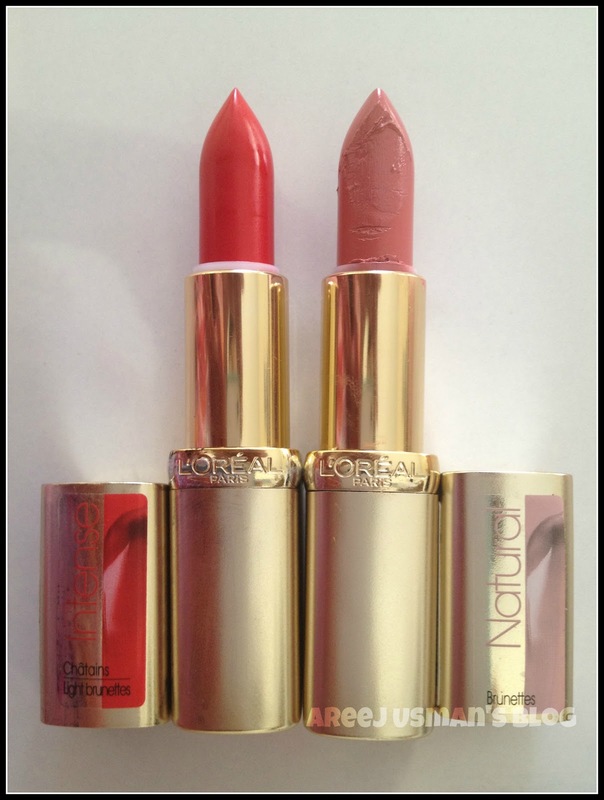 This summer L’oreal has introduced 12 enchanting new shades in the shape of L’oreal Color Riche Lipstick. 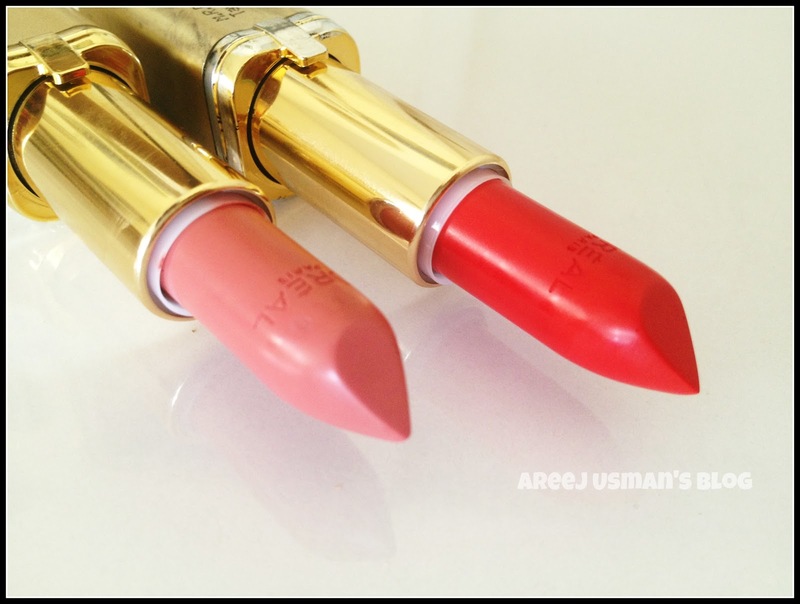 Today I am reviewing one of these beauties.I recieved two of these lipsticks.One from their Natural shades called Velvet Rose & the other from the Intense shades called Perfect Red. 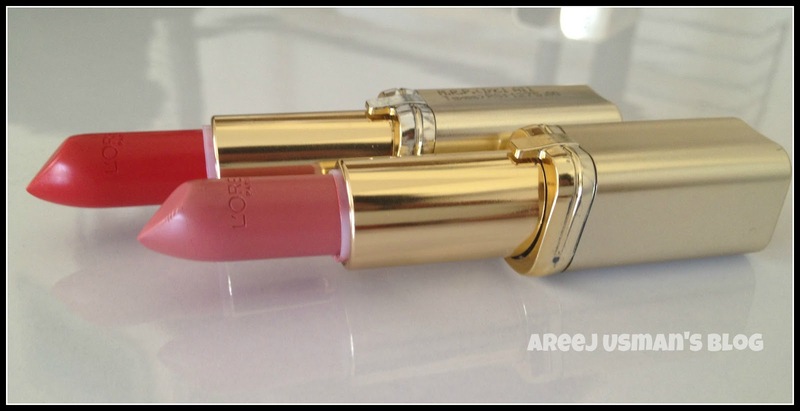 As L’oreal is one of my favorite drug store brands I was quite excited to hear about the launch of their new lipstick shades.Pinks & Nudes have always been my favorites. So now that I got the option to review one of these two shades I have reviewed & swatched VELVET ROSE from the NATURAL shades. 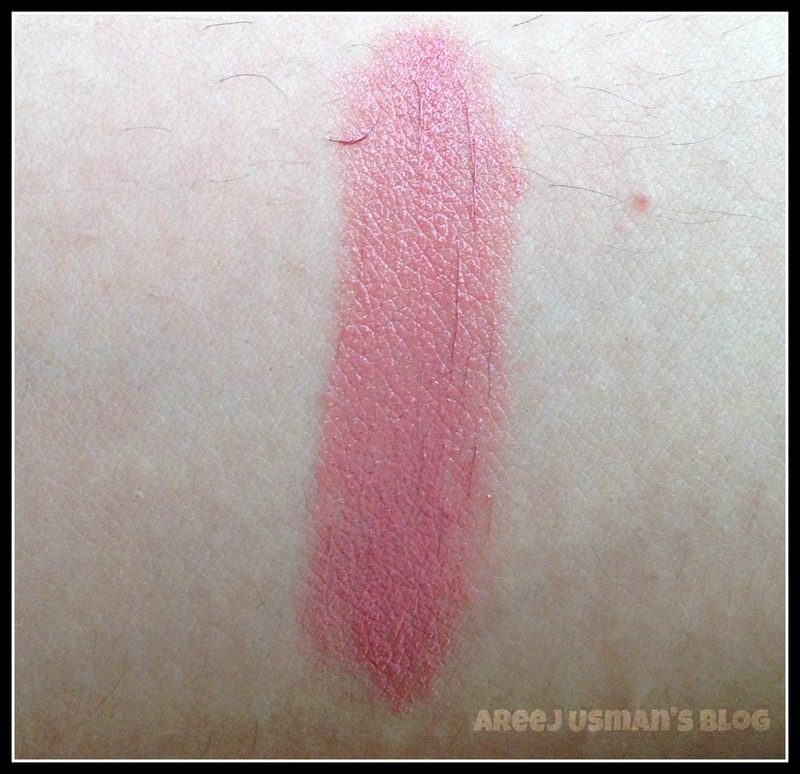 The shade is double swatched here.Its a lovely pink shade that appeals a lot to me.I fell in love with the shade even before I applied it to my lips. This particular shade appeared neither too glossy nor too matte on my lips,but if you want to achieve a more MATTE look blot it with a tissue paper. The staying power of this lipstick is also good.It stays for around 4-5 hrs without eating anything but in any case I always want to retouch my lipstick after an hour or two so to me the lasting power doesn’t matter much. I would have been more happier if L’oreal would have redesigned the packaging of the lipstick as it is the signature L’oreal square packaging & I do love changes. 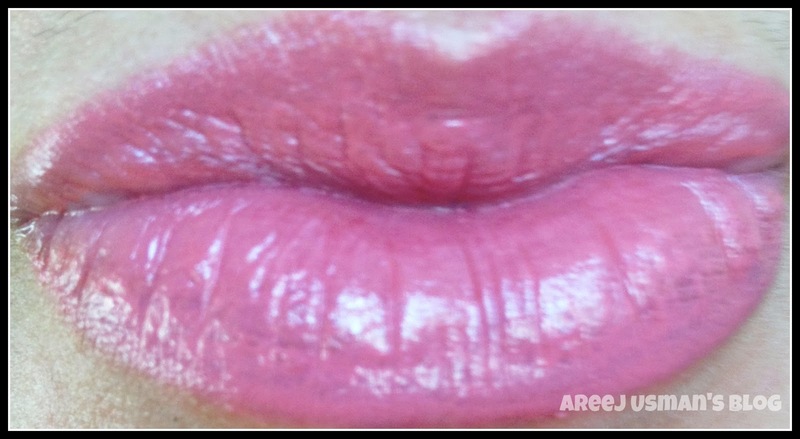 The name & number of the lipstick is mentioned at the bottom whereas the shade number is at the top. This lipstick provides medium to full coverage.I will include this shade in my daily wear lipsticks as I love to wear pinks in my daily routine. 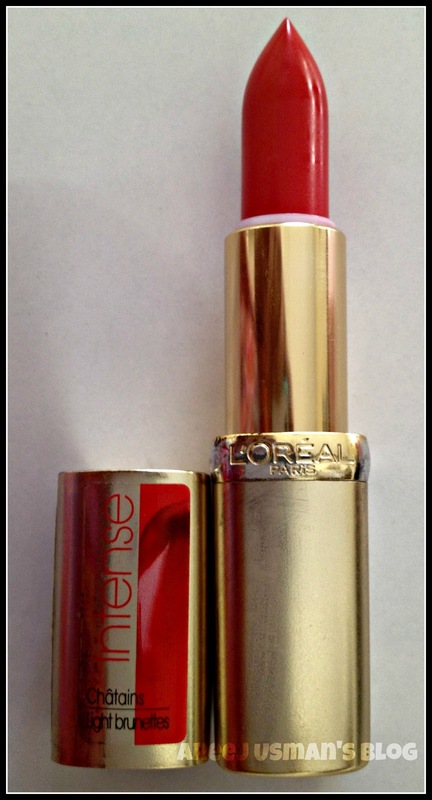 Now you all must be wondering why havent I swatched the Perfect Red Lipstick….so the Good news is that I am giving away this other Color Riche lipstick in a Giveaway starting 1st June 2012. Stay Tuned for more details about the giveaway soon. Perfect Red is going to be one hot shade!